Sutter Gould Medical Foundation (SGMF) is a non-profit, multi-specialty health care organization affiliated with Sutter Health. 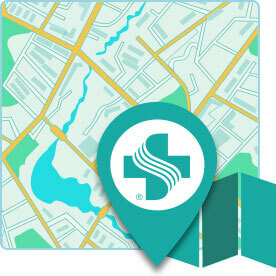 Based in Modesto, SGMF provides quality medical care, health education and research activities in a five-county area. SGMF's medical staff includes family practitioners, internists and pediatricians, as well as a range of specialist physicians. Services include imaging, nuclear medicine, a health library, health education programs, occupational medicine, diabetes education, nutrition counseling, infertility counseling, and weight management. POSITION SUMMARY: Provides basic administrative, clerical and technical support services under the supervision of a licensed provider for the Sutter Gould Medical Foundation patients and their families. Assists the physician or other medical providers in implementing the medical care plan to include obtaining history and physical, accurate vital signs, medication administration, tests, and procedures, phone calls, scheduling and obtaining authorizations. Depending on the position, travel to various Foundation locations may be required. Graduate of an accredited Medical Assisting Program. Demonstration of medical assisting skills such as would be obtained in externship portion of Medical Assisting program working in the back office of a licensed physician or podiatrist. Current Basic Life Support (BLS) for Healthcare Providers card is required upon hire. Typing certificate 35 wpm, typing certificate is required at the time of an interview (online certificates are not accepted). Knowledge of what constitutes a medical emergency requiring a physician or licensed nurse's attention. Knowledge of scope of practice of a Medical Assistant. Ability to learn and successfully utilize the electronic health record. Ability to read, write and verbally communicate effectively and professionally in English. Dosage calculation skills as proven by successful competition of medication test. Competency in basic Medical Assisting skills such as medication administration, chart documentation, taking vital signs, preparing patients for exam, performing basic testing such as finger sticks, ECGs etc. Ability to efficiently operate office equipment, i.e. fax, photocopy machine, etc. Organizational skills are important for this position. The ability to manage multiple priorities and demands on time, while remaining calm. Excellent customer service skills are required for this position. The ability to be flexible, be efficient and learn quickly.